Mumbai, January 30: It’s old news that polygraph tests, which are supposed to detect whether someone is lying based on their physiological responses during questioning, are unreliable and prone to bias. Now, a startup called Converus says it’s invented a better alternative: EyeDetect. The system uses machine learning to analyze tiny changes in a subject’s pupil dilation and reaction time, which lets it guess whether you’re fibbing. It’s cheaper than a polygraph, the company says in a new Wired feature, and more accurate. It’s illegal for most private employers in the United States to use lie detectors on their workers, but EyeDetect has rapidly caught on with the U.S. government and in other countries. The Department of State contracted Converus to help it hire workers in Guatemala, and the U.S. Embassy in Paraguay has used EyeDetect, Wired found. The Defense Intelligence Agency and U.S. Customs and Border Protection are conducting trials with the technology, too. Converus also says that Best Western, FedEx, McDonald’s, and other well-known companies are all clients, though none confirmed that claim with Wired. 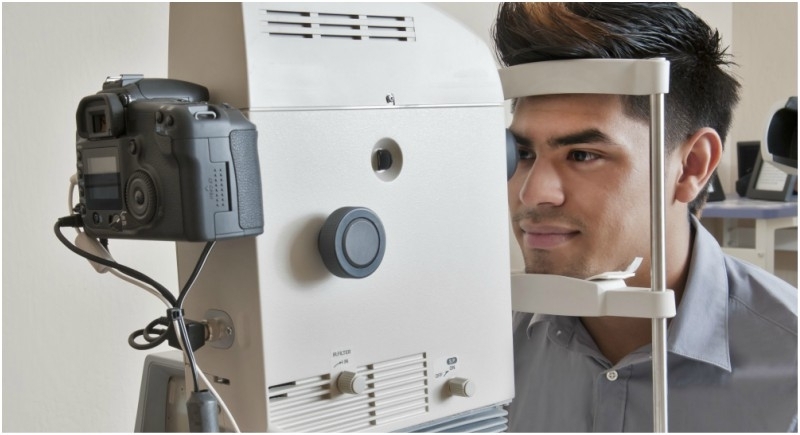 There’s just one problem: experts aren’t sure EyeDetect is any better than the notoriously unreliable polygraph test. The company says it’s 86 percent accurate, Wired reported, but no researchers outside the company have conducted any peer-reviewed studies on it — and some of Converus’s own studies have found accuracy rates as low as 50 percent. “It’s astounding to me that there are paying customers deploying this technology and actually screening people with it,” University of Minnesota professor of psychology and neuroscience William Iacono told Wired. If those concerns are true, the story is less about ingenious machine learning and more a cautionary tale about using artificial intelligence buzzwords to foist an unreliable test on companies — and innocent people — whose lives could be upended by its results.